click on this link to reach the RYLA forms page and fill out all six forms. Rotary Youth Leadership Academy (RYLA) is a unique opportunity for high school students to gain insight and knowledge in life and leadership skills. The academy features guest leaders, small group problem solving and self reflection which lead to enhanced leadership skills. Based on their academy experience, many graduates change their career objectives or educational plans. District 7040 Rotary Clubs sponsor one to three students (ages 15-17) to attend this Youth Leadership Academy that gives them a memorable and potentially life-changing experience. What do students experience at the Youth Leadership Academy? Students mix and mingle with other high school students from Quebec, Ontario and Northern New York. This provides them with a unique opportunity to learn about different communities and cultures. They also learn about themselves, their values, as well as having fun. Students come away from the experience having developed a program for implementation in their school or community and many new friendships. Where does the Youth Leadership Academy take place and how do I get there? 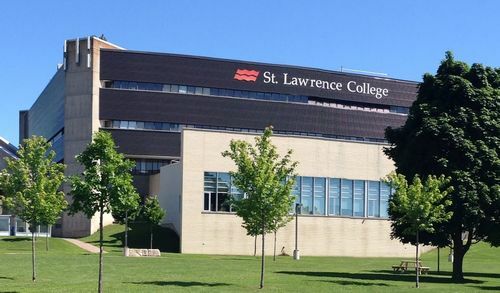 The conference takes place at St. Lawrence College in Kingston along the shores of Lake Ontario. All students stay in the college’s dorm suites for three days. The program culminates with a graduation and awards ceremony at the college. Transportation for students is the responsibility of the sponsoring club. Nearby clubs sometimes share this responsibility to save costs and workload.